MAACS Attorneys receive greatly discounted subscription rates to www.sado.org and its resources and services produced by SADO's Criminal Defense Resource Center. Yearly subscriptions run from October 1st through September 30th. Appointed Appellate Counsel Web Subscription - $250. Limited to MAACS Roster Attorneys Accepting Appointed Appeals. Access to all of the resources described below PLUS additional research support, including an annual subscription to Westlaw, allowing unrestricted access to all state and federal case law and secondary legal sources and more; an annual membership to the National Association for Public Defense, allowing access to hundreds of free trainings, webinars, and additional resources; and CDRC/MAACS Research Support Services, including consultation and support in use of the above services in court-appointed appellate matters. MAACS Research PLUS Web Subscription - $50 annually. (Valued at $190). Web access at www.sado.org including access to SADO’s Brief Bank, monthly emailed copies of the Criminal Defense Newsletter and appellate decision summaries, online and PDF access to the most current Defender Trial, Plea & Sentencing, Motions and Habeas Books, Expert Witness Database with testimony, video archive of training events, and practical manuals, including the “Defender Guide for Attorneys: Policies and Procedures of the Michigan Department of Corrections” and the “Defender Guide to Michigan’s Commutation Process.” Plus a Misconduct Database and 24 hour access to a highly active Forum (criminal defense attorney-only e-mail and web-based discussion group) with over 400 criminal defense attorney subscribers. The MAACS CLE Policy and Request for CLE Credit Form can be found here. Each month, the MAACS Appellate Investigation Project will host MAACS Virtual Case Rounds exclusively for MAACS roster attorneys. Case Rounds allows MAACS attorneys to enter into a virtual meeting with fellow MAACS attorneys to discuss case issues, brainstorm, strategize, and offer advice from the comfort of their homes or offices. Registration is limited, and groups will be limited to 4-6 attorneys. Each attorney will have an opportunity to discuss his or her case. The service is complimentary to MAACS attorneys; all that is needed to participate is a computer or mobile device with a camera and a microphone. Sessions are typically held the last Tuesday of the month at 3pm, last about an hour, and open with a brief discussion on a specified topic. 1 hour of MAACS CLE credit is available. See the flyer for details. For information on upcoming case round sessions, email Jessica Zimbelman at jzimbelman@sado.org. MAACS and CDRC are committed to providing high quality training opportunities to members of the roster. Trainings for MAACS Roster Attorneys take place throughout the year, in various locations across the state, and through webinars and live stream. Upcoming trainings can be viewed on the Event Calendar. Past Roster Attorney Orientations and Annual Trainings (Must be a SADO/CDRC Subscriber to access. Contact Heather Waara at hwaara@sado.org for access). "I can't say enough positive things about my experience in this workshop. I actually sent a text message to a friend on the MAACS list telling her to make sure she signs up next time the workshop is offered before leaving the parking lot Saturday after the training!" "The seminar was life-altering for me. I learned new ways to analyze my cases, to write briefs, and to prepare for oral arguments, as well as new methods to develop and maintain good client relationships." 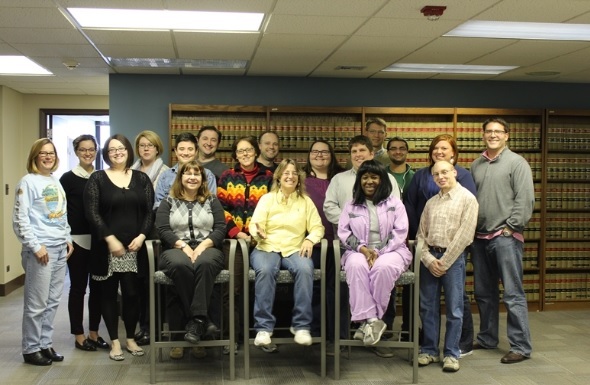 "Every one of the instructors was kind, knowledgeable, and seemed eager to help us become better appellate attorneys. Their energy made it enjoyable to be there, even on a Saturday morning." "It was well worth my time to attend and I look forward to future conferences."